Max Drop 14ft high drop along a 52ft length. Accessibility Must transfer to standard wheelchair, and then to ride vehicle. The famous redhead will take on a new role in Pirates of the Caribbean in 2018. Sort of missing the song that made the ride a classic. Classic. Hardly ever a long wait. Great theming. Compare it to the POTC in Disneyland all you want, but this one holds it's own and is an all-time fav. for just about everyone. Pirates of the Caribbean has always been one of my favorites, although the ride itself has been changed a few times. 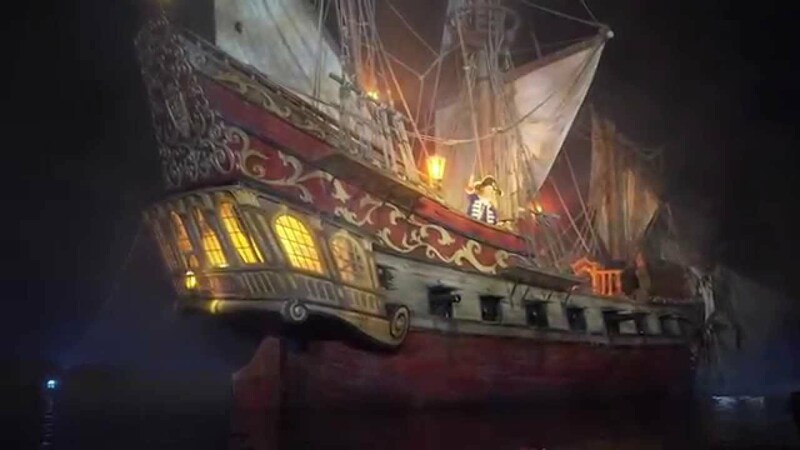 Originally, the pirates were supposed to chase the women (and one of the women chased a pirate for laughs), but it was changed so the women were chasing the pirates away. I don't think the original was that bad, but either way, it's still fun. 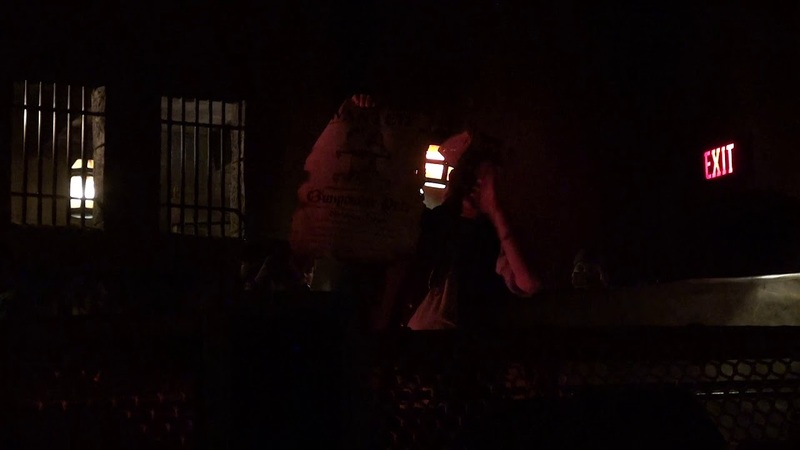 They've added Jack Sparrow to various scenes in the ride too. I was upset when I first heard about it (how dare they change one of my favorite rides! ), but once I went on it, I was pretty happy with the result. I think the creators did a really fantastic job. The only thing I'm really not happy about is that they removed the talking animatronic parrot from the entrance. He used to sing "Yo Ho Yo Ho a Parrot's Life for Me" and was soooo cute (but I'm a major parrot lover anyway). They replaced him with a sign or something and I don't know what they did with him (hopefully, he'll appear somewhere else). Anyway, this is a great ride for families. A little scary at the beginning, but nothing too bad. There is a drop, but it's pretty small. 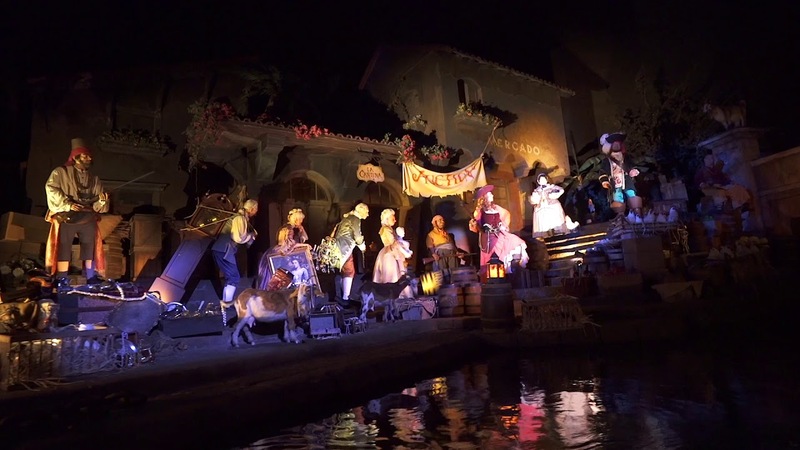 Pirates of the Caribbean is a slow moving boat ride through 18th Century West Indies, where guests get a closeup encounter with pirates. During the major refurbishment of 2006, Captain Jack Sparrow and Captain Barbossa were added to the ride. Pirates of the Caribbean underwent a major refurbishment in 2006.